 No matter your background of affiliation, if you're curious about observing more mitzvot or simply seeking a better understanding of Jewish culture and tradition, we have the place for you. Choose from an ever growing range of programs designed to offer serious Jewish learning. Created for the needs of the community, our programs meet all levels. All classes are presented at a comfortable pace and there's always something for everyone. You'll find expert and dynamic instructors along with engaging intellectual climate for learning that stimulates and encourages questions, dialogue and critical thinking. The lectures are relevant, inspirational and often include lively in-class discussions. New and exciting courses each semester provide you with a continuing learning series that give access to the wealth of Jewish scholarship, and practical instruction about the basic obligations of Jewish life. Discuss, explore, and journey through the world of mystical teaching... no prior Kabbalistic experience required. Every Monday at 11 am. Anyone. Any Subject. Any Time. Any Place. - Just pick up the phone!